Festival tickets are expensive and more if you wait until the last moment to buy it. We find a way to facilitate the buying of your ticket while getting in tone with your chosen festival. 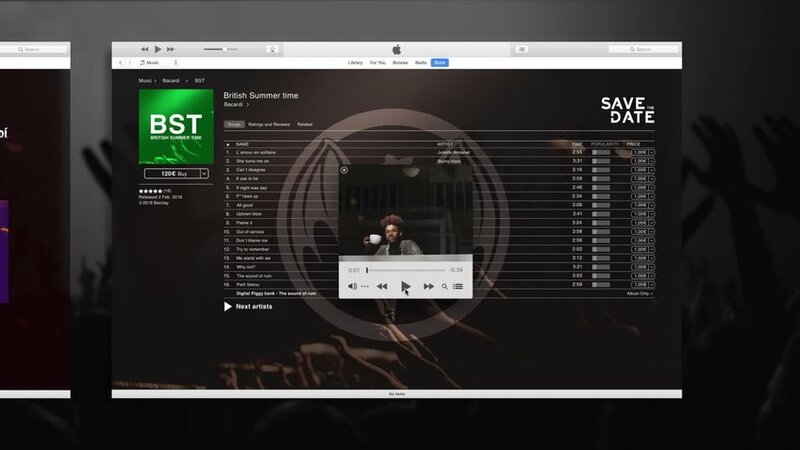 Bacardi in collaboration with iTunes will create different albums representing the festivals they sponsor with upcoming artist's playing there. Every day new songs of the lined up artists will be added for a symbolic price. By buying a song a day not only do you get your full festival ticket but you also get to know all the line up.